Is Now Finally the Time to Buy Gold? I’m in Vancouver for a few days. While I’m here, I need to meet with gold bugs and ski Whistler. That’s what you do around here, right? Right now, I’m good with both. It’s hard to have a serious conversation with the true yellow metal cult followers. 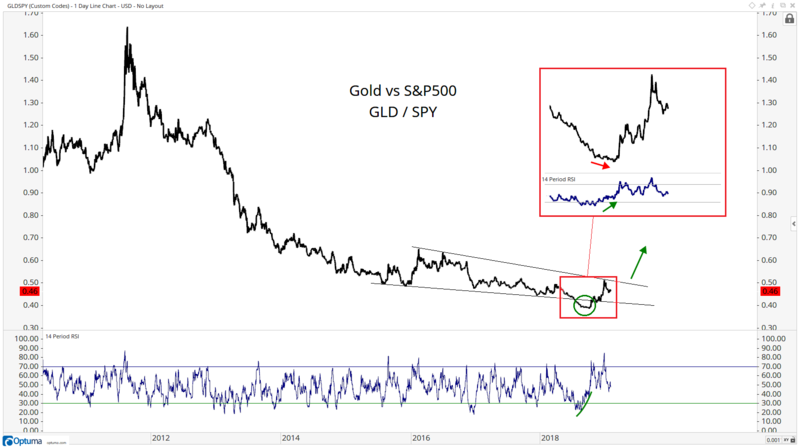 These clowns are bullish at all times and have expected gold to make a huge move every day since their last big move that ended in 2011. I’ve heard it for years. 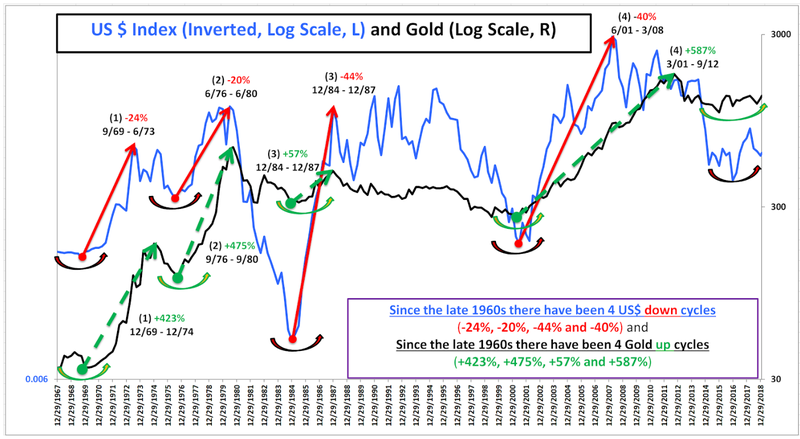 But nope, not only have gold bugs notmade any money, but the opportunity cost (what else could they have done with that cash) is through the roof. It’s been painful to watch. For our purposes, open-minded investors, in other words, we don’t care if gold doubles or goes to zero. We couldn’t care less. Our jobs aren’t dependent on them. Our “investment strategy” is not tied to rising prices for precious metals and, since we don’t have “a narrative,” we don’t need to make things up to justify our existence. We want to buy things that are going up and sell things going down. We want to have smart risk-management. It may sound oversimplified, but that’s just the truth. Securities trend. There is a much higher likelihood for a trend to continue than for it to reverse course and turn around. “An object in motion stays in motion,” I believe is how Mr. Newton put it. One of the things we do is look for clues, or evidence of changes, in these trends. For many years now it’s been Stocks > Gold. This has been one of the sweetest trends to watch and participate in for a long time. Watching the stubborn get killed is a great lesson in humility. Don’t let it happen to you! If we’re going to make a bullish case for precious metals (and we have been since October), I think it needs to start with this chart right here: Gold vs. the S&P 500. I see a bullish momentum divergence at the recent lows and a failed breakdown below the lower end of this falling wedge. The way I learned it was, “From failed moves come fast moves,” and I think this is precisely what is taking place. Another relative chart that I think is worth mentioning is the monthly Gold vs. U.S. Treasury Bonds. 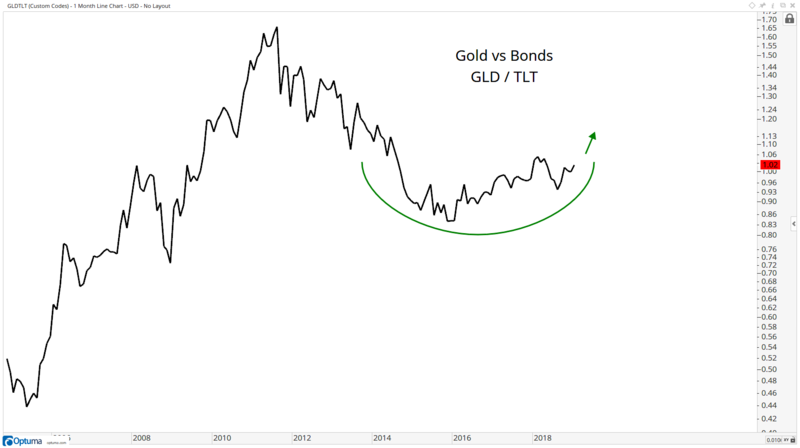 As a supplement to the chart above, this one answers the “Gold or bonds?” question. 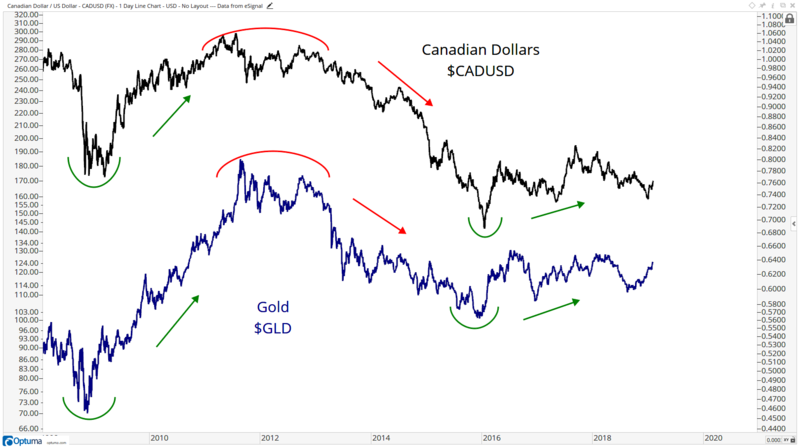 There are a lot of intermarket relationships I’m seeing out there suggesting we want to continue to err on the long side of precious metals. From the currency angle, a weakening U.S. dollar tends to coincide with rising gold prices. I discussed this here recently, and in a recent podcast with Key Square’s John Roque that I’ll share with you soon. We also want to be watching the Canadian dollar here. There are a lot of things going on in the metals space right now, and it’s a trend you’ll want to watch closely over the near term. We sure will, right here and in Breakout Profits, because now might finally be time for gold’s day in the sun. Have any questions or comments? Are you a gold bug? Email me at bigmarkettrends@charlesstreetresearch.com and I’ll answer or address them in an upcoming email.